I am proud to call both Monica and Luke our friends - you may remember them from their newborn session last summer. 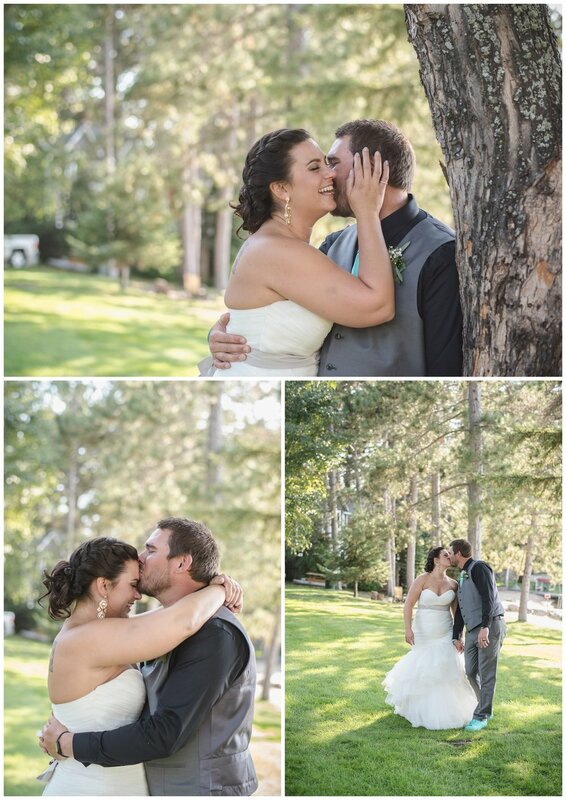 They planned a gorgeous little wedding, including their immediate families and their son, Ben. Even though it was a blustery (11°) winter day, we captured the sunlight in a short outdoor session. Monica’s immaculate sense of style showed in her wedding day choices, from the soft pink satin dress to the fur hand muff, and fur lined cape. They decided to forego flowers, in favor of having extra hands to hold little Ben, which in my opinion is a no-brainer. I just love elopements and small weddings, and my heart is grateful for the privilege of being included in these intimate events. 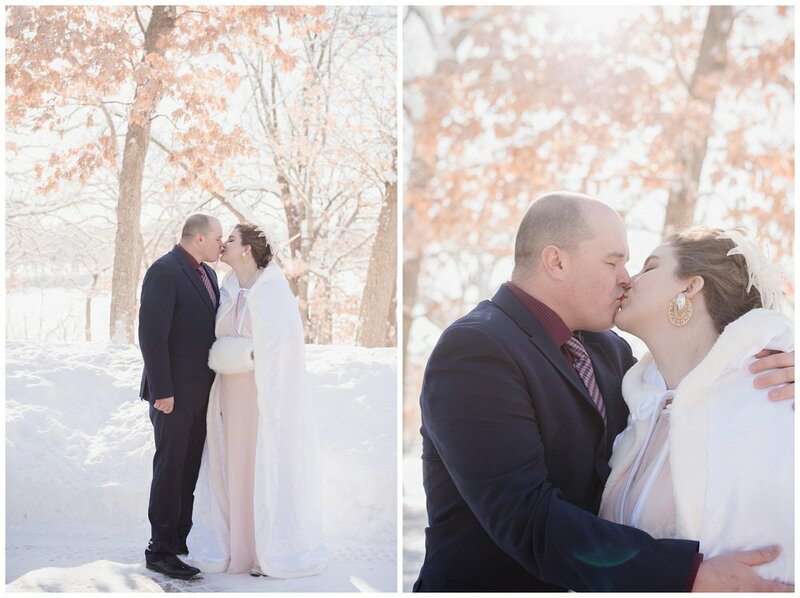 Enjoy the love in this Minnesota winter wedding! Baby portraits are everything. That short time when babies are teeny and sleep a lot is fleeting, which is why we schedule newborn photo sessions as soon after the birth as possible. Krissy is one of my favorite local photographers, and I was so honored when she asked me to photograph her with her brand new baby, Josie. Krissy’s dress from House of Flynn made this session absolutely god-like, as Krissy loved up her little babe. Gabby's only request was a grassy field, and it was the perfect time of summer to catch both the tall grass and the late summer blooms. We had so much fun running around Hamel, getting some gorgeous sunset photos, and ending by letting Gabby run and spin in the grass. What an awesome way to celebrate summer and growing up! I feel so privileged to have photographed this family twice in the same year. I met them in the winter to take a family snapshot for the holidays, and got to help welcome Baby H with his very first photo session in July. Big brother was more interested in being silly than posing for photos, but we did manage to get a few smiles on camera. I just love home newborn sessions; everyone can relax and enjoy the portraits, there's no packing up kids in the car, and we can take snack and nap breaks if we need to. I met these girls last winter when they visited my studio to meet Santa, and their mom entered to win a portrait session. I am so glad they were the winners of my drawing because we had so much fun running around the park and chasing the sunset for their sweet family pictures. I just love the colors they chose and how perfectly the family was coordinated. And, if you know me at all, you know that my heart is happy when the furry family members join us. Probably the most common question I am asked is, "What should we wear?". It seems like a big question. There's a ton of advice on blogs and Pinterest. What looks or feels good might not always photograph well. With fifteen years of experience behind me, here's my tips on how to choose the right clothes for your photo session. Colors: When choosing your clothes, you want to coordinate your colors, not only with each other, but with the setting. Callista and Kevin's engagement session under the blossoming tree and blue sky is perfectly accented by her soft blue dress.The colors you choose can have a deeper meaning than you realize. The tone and mood can be set just by your color choices. Warm shades are passionate, exciting, lively, and they draw attention. Yellow signifies happiness, friendship and kindness. Want drama? Wear a red dress. Want calm and sweet? Pick cool shades. I usually tell my clients to choose light, neutral tones, accented by more vibrant earth tones. Think foods - cream, mustard, eggplant, cranberry. I am personally a fan of teal and navy. Below, Emily and Tom welcomed their sweet little baby Miles, and chose their living room as the backdrop for the family photos. Their gray and blue clothing are a wonderful reflection of their home. Texture: Be bold! We love accessories! When chosen well, daring accessories can really make a session pop. Wear statement jewelry and scarves, cardigans and hats. I literally raided Kelsey's closet (thanks, Kelsey!) to put this outfit together, in celebration of their anniversary and a beautiful summer day. The bright colors are happy and eye-catching, and they really stand out from the natural background, yet still coordinate with the hues surrounding them. Comfort: Above all, I want you to feel like yourself. After you think about colors and texture, coordinating and accessorizing, be sure to remember to keep it comfy. You won't enjoy your session if you don't feel fabulous in what you're wearing. Since Minnesota photos are often taken in the summer and fall, I love flowy dresses and shirts, linen and khaki. Wear clothes that breathe and let you move (after all, you want to be cuddly if you're going to be cuddling , right? Styling Help: Did you know that Gianna's Photography offers free wardrobe styling? I do, and I really love helping clients sort through their closets to pick the perfect outfits. You can send me photos of your ideas before your session, bring a few options to sort through, or do a video chat through your closet so I can help you choose. I will suggest a specific color pallete, send shopping links if you'd like to buy something new, and can even put together a Pinterest board just for your session. Just ask! Minis will take place on October 13th in the morning, in the backyard of my studio, weather permitting. In the case of poor weather, we will move sessions indoors. 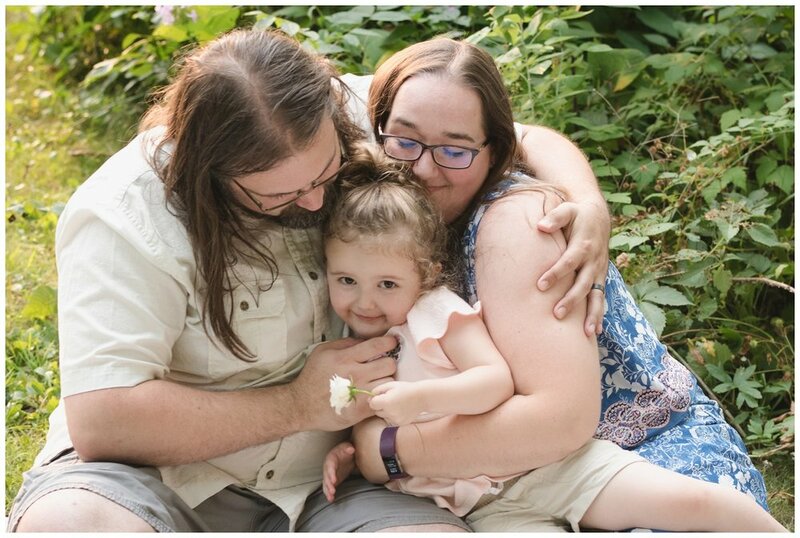 These little snippets of a session are perfect for couples with small children, families with pets, engaged couples, and/or just anyone wanting a quick snapshot for their holiday cards. Can't wait to see you! Why in the heck should I have my portrait taken?!? Look, I know how hard it is to be in front of a camera. Why do you think I’ve made my career out of being behind it? I HATE having my picture taken. Like turn around, run away, or make a goofy face in desperation to avoid being photographed. Awkward AF and super weird, that’s me. I mean, love my bizzare self, but don’t really think that anyone else needs to see this mug. When I approach people to take their photo, the reaction is usually,”Oh…no. Why me? I don’t like being photographed.” Well, listen here, neither does anyone else. I’ve said this a few times, but in my experience, even models don’t like being photographed, their just better at it than we are. Annie Leibowitz is one of the most famous portrait photographers in the world and she thinks that is isn’t a photographer’s responsibility to make their subject comfortable. I’m going to go out on a limb and disagree here. I do this every day. My clients don’t. If I were trying something new or out of my comfort zone, I’d trust a professional to guide me through it. I’ll hold your hand. I’ll make this easy. We’re in this together, okay? Now tilt your chin this way and think about ice cream. Bam! Great portrait. That’s how I roll. What is your visual history? Your media legacy? When you’re much older, what will you show people to brag about your good looks or how much fun you used to be? Is it going to be a grainy, out of focus photo from dinner at Applebee’s. I hope not. Maybe it will be as awesome as me and Darth here. This is my latest professional photo session. Headshots for my website. Taken by an extremely talented photographer, in a carefully chosen orchard, a new dress, hair and makeup did. And this is my face. The face I make when I’m uncomfortable. 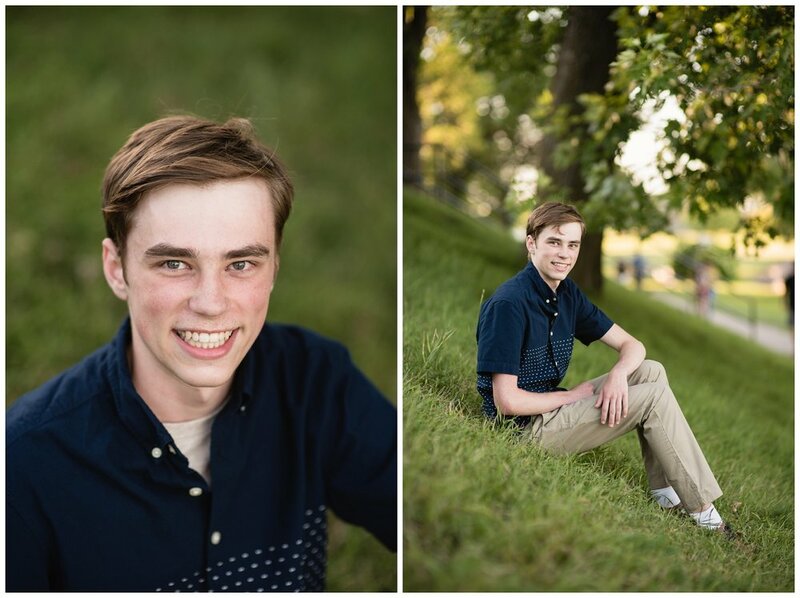 There are much better photos from this session, but this is me. My point....well, what is my point? It's that I want you to enjoy having your photo taken. To enjoy looking through your photos. All of your photos. Be proud to show the goofy ones, the out of focus ones, and book your next portrait session to show off the artsy ones. I mean, as much as I want Darth Vader in my obituary, I hope that my visual legacy includes good lighting and a genuine expression (but maybe that’s just me).